Supportive friends, scholastic resources, leadership opportunities, sports competition, philanthropic projects, career opportunities and becoming a part of a national network. Fraternities and sororities are value-based organizations dedicated to the development of character and lifelong friendship. What is the difference between the Interfraternity Council, Multicultural Greek Council, National Pan-Hellenic Council, and the Panhellenic Association? The Interfraternity Council is the governing body of all member IFC fraternities at the University of Missouri. Its purpose is to promote unity, sustain and increase the internal strength and power of the Greek system at the University of Missouri, provide information and encourage involvement in campus and community affairs, as well as uphold the values upon which the Greek community at MU was founded; scholarship, leadership, service and brotherhood. The Multicultural Greek Council (MGC) strives to create and maintain an all-inclusive and culturally diverse environment, by fostering cultural awareness and upholding fraternal and sororal values. 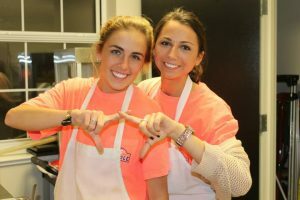 The MGC was formed in order meet the individual and collective needs of its member sororities and fraternities by promoting unity and coordinating programs, while cultivating the values of service leadership, brotherhood/sisterhood, and scholarship. The purpose of NPHC shall be to promote an atmosphere of mutual respect and cooperation between Black fraternities and sororities; to disseminate information for a better understanding of Black Greek functions and purpose throughout the larger University community; to support and encourage high academic accomplishments; to maintain at all times smooth and cooperative relationships with other organizations; to support and encourage viable civic projects in the city of Columbia; and to be accomplished through cooperative efforts with the Legion of Black Collegians when NPHC performs joint civic functions that include each respective organization within NPHC. The purpose of the Panhellenic Association shall be to develop and maintain fraternity life and inter-fraternity relations at a high level of accomplishment and in so doing to: (1) Consider the goals and ideals of member groups as continually applicable to campus and personal life; (2) Promote superior scholarship as basic to intellectual development; (3) Cooperate with member fraternities and the University administration in concern for and maintenance of high social and moral standards; (4) Act in accordance with National Panhellenic Conference (NPC) unanimous agreements and fundamental policies; and (5) Act in accordance with such rules and policies established by Panhellenic Council, that are in harmony with those currently established by National Panhellenic Conference, as to not violate the sovereignty, rights and privileges of member fraternities. How do I bring a new Greek Letter organization to campus? There are several steps required when bringing a new Greek organization to campus. The first and most important step is for that perspective organization to be officially recognized by the Org. The Org is the administrative organization responsible for registration, training, and funding for all of the University of Missouri- Columbia student organizations. Once an organization becomes recognized by the Org, the organization may petition the respective Greek Governing Council for more information. Each council (IFC, PHA, MGC and NPHC) has its own requirements for membership. Academic success is a key component to fraternity and sorority life. All fraternities and sororities at MU place a value on the academic success of their members. A few of the ways that Greek organizations support the academics of their members is through minimum grade requirements for holding an office and being initiated into the chapter, study halls, along with workshops on study skills, test taking and time management. In support of these academic efforts, the Office of Fraternity & Sorority Life compiles academic information for organizations each semester if the proper materials have been submitted. Chapters use academic information to assist students and to set minimum qualifications for initiation, room assignments, and/or eligibility for officer elections. It is important to note that the average GPA collectively for fraternity/sorority members traditionally exceeds 3.0, so students are encouraged to achieve the highest GPA possible for the best opportunity of membership. Costs for joining a fraternity or sorority vary by chapter. If the chapter possesses a chapter house, costs are fairly comparable to living in a residence hall at MU. Contracts of chapters with housing typically include room and board, as well as social fees, local and national dues, and some incidentals. Costs are paid directly to the fraternity/sorority. Most chapters offer payment plans for students, and scholarships may be available within the individual chapters as well. The University does not have a role in this process; the student deals directly with the chapter. It is important that the student asks questions so that they are able to understand where the money is going. What is the time commitment for being involved with a fraternity or sorority? Being a Greek member can be a substantial time commitment. Some students put all of their time into their fraternity/sorority, while others divide their time between their chapter and experiencing other things on campus. There are some required events, but you can always choose which events you want to be a part of. And remember, scholarship is one of the shared values of all fraternities and sororities, so activities will not take away from the student’s academic career, as long as the student plans ahead. Greek students learn quickly how to manage their busy schedules, which will help them scholastically, as well as after graduation as they move into the workforce. The more time members spend with their fraternity brothers or sorority sisters at chapter activities, the more they will get out of their Greek experience. Does financial aid cover any of the fees associated with being in a fraternity or sorority? Financial aid awards are handled directly through the University. Tuition, residence hall contracts (not fraternity and sorority fees), and other University fees are deducted from the amount you are awarded each semester. The remaining amount is then issued to you in the form of a check. If you live in a Greek chapter house, room and board is not automatically deducted, rather included, in your check refund from the University. You are then responsible for all payments to your fraternity or sorority. What is XYZ fraternity/sorority like? What is the “best” chapter on campus? All fraternities and sororities share the values of scholarship, leadership, service, and brotherhood/sisterhood. The University of Missouri Greek community is very strong, and all of the chapters fulfill their duties to achieve excellence in these areas. Each chapter has its own personality, and the student will sense in what chapter he or she would feel the most comfortable during the recruitment/intake process. Do I need a recommendation letter to join a PHA sorority? Some chapters require recommendation letters from alumni of their organizations, but it is the chapter’s responsibility to gather this information. You do not have to have a letter of recommendation in order to participate in recruitment at MU. While you are not required to collect recommendations, you can request one from an alumna from any of the sororities you will be visiting during formal recruitment. The alumna does not have to be a member of the MU chapter of their sorority. If you do acquire these recommendation letters, they should be sent directly to the chapter. Find their local addresses. Can I join a Freshman Interest Group (FIG) and a fraternity or sorority? Because freshmen women live in university residence halls, joining a sorority and a FIG is both manageable and a great way to get involved at MU. Many freshmen women are involved with both sorority and a FIG. As a freshman it is a little more challenging for men to be involved with both a FIG and a fraternity. Many of the fraternities expect new members to live in the chapter house during their first year and FIGs are a part of the residential life programs at MU. If you are interested in being in both a fraternity and a FIG, it is a good idea to discuss this with the fraternity that you are interested in joining as well as the MU Residential Life office located in Defoe-Graham Hall. Can I still participate in PHA recruitment if I am in band, FIG, athletics, or other activities? Yes. You may participate in both events, even if they overlap. When you register for recruitment, indicate on the form that you will be participating in both. We will work with you during the week to ensure that you may attend as many recruitment events as possible. You can contact the Office of Fraternity & Sorority Life at 573-882-8291 or by email at fsl@missouri.edu. Be sure to visit us at the Mizzou Fair during your Summer Welcome or Winter Welcome session.